Get a new level of protection from the elements. 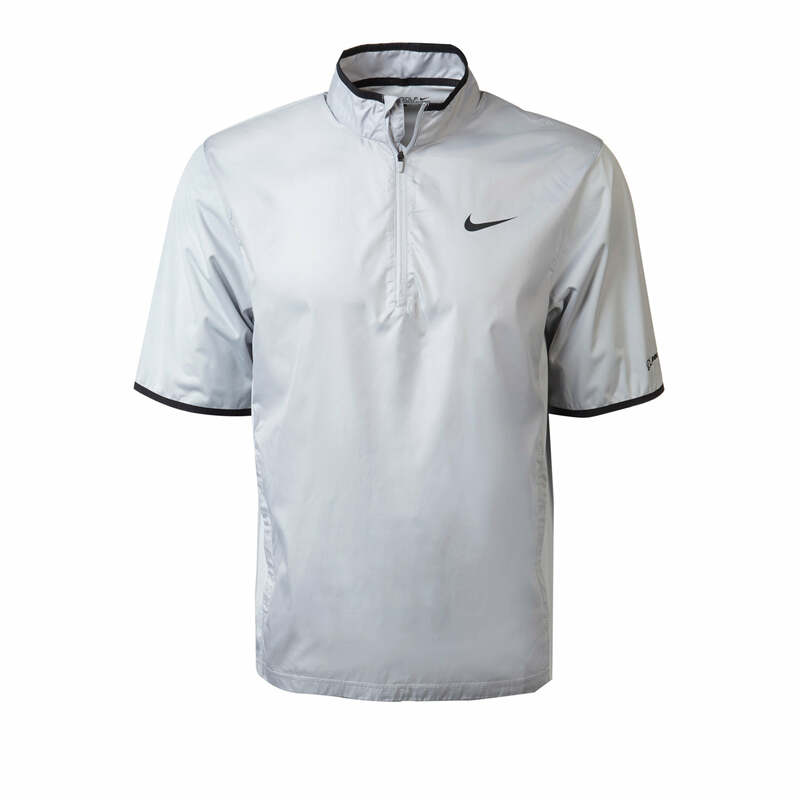 This golf shirt is made from soft, lightweight 100% recycled polyester Nike Shield fabric that keeps out wind and rain while stretching with you so you can move naturally without restrictions. It has a high collar and half-zip neck opening with the Nike swoosh on the left chest and Boeing logo embroidered on the left sleeve. Wolf Grey. Imported.